For better service please fill all filed. Holiday Travel is a leading online Travel Tour Company In India, We Specialize in Himachal Pradesh, Punjab, Kashmir & Madhya Pradesh Travel Packages. Some of our signature packages include Shimla Manali Tours, Tiger Safari, Wild Jungle Safari, Golden Triangle, Wild life Tours & International Tours specially USA, Canada , UK & Dubai sectors. In addition we also provide B2b Travel inquiries and support to New travel agencies. We are India's Top Customer centric, B2b & B2C Travel Company for providing Customized Holiday tour packages. In addition to online presence, The company has offices in all over India and is offering customized and personalized tour and travel packages. 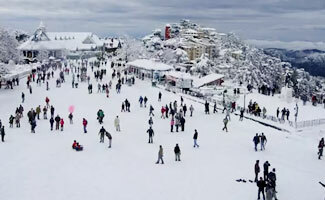 We offer Indian Domestic tours, Himachal Shimla Manali tours, Wild Life Safari, Tiger Safari Packages, Madhya Pradesh Tourism and MP holiday tours, India pilgrimage tours, international travel packages. In international tours, we specialize in USA, Canada, UK & Dubai Tours, and also provide attractive deals for Thailand Tours, Mauritius Tours, Singapore and Malaysia Tours, Europe tours. We are based in Himachal, Delhi, MadhyaPradesh & Delhi NCR. Our Clients range from Individual customers, Corporate Clients, Multinational companies and B2B Travel agents. We are fast emerging as one of the most favored travel company, Including B2b Travel leads providers in india. We are specialist in providing Personalized Travel services, Hotel Booking services etc according to your taste, choice and preferences. We have a dedicated team of travel specialists, who tailor the package after understanding all personal requirements to offer you best travel Deals and services. We take special care for families travelling with kids and elders. Best Indian Jungle Safari tours, Tiger Safari tours, Best wildlife Holidays, Private Honeymoon Packages, B2b Travel Leads Provider, b2b Travel company, Customized Holiday & Tour Package, Incredible India Tourism Packages, at discounted price. 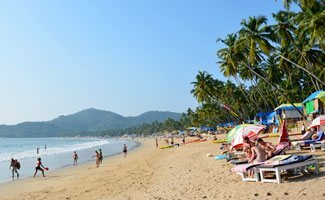 You can find list of top India travel packages at very affordable prices.HolidayTravel.co brings you a wide range of holiday options for India, Middle east, Europe, Far East and USA. Select from a wide variety of standard packages or customize your holiday. Find amazing deals on individual (FIT) and group (GIT) travel to hot selling destinations of Asia (Thailand, Singapore, Maldives, Mauritius, Malaysia, Hong Kong and Macau, the Indian Subcontinent and others), the Americas (USA, Mexico, Canada), Europe (Western and Eastern Europe), and the Middle East (Dubai and other Emirates) among others. Indepth Travel Research on more than 500 Most beautiful Travel Destinations of world, In depth Researched Tourist Guides for 450 Best Tourist Destinations of India, Asia, Dubai, Thailand , Europe & Americas. Web site offers Complete 360 degree coverage for these attractions including Site seeing, Attractions, Food, Hotel Stay, Recommendations etc. Web site includes Destination attractions Listing and Travel Destination Categories based on Travel Research, Our team (Holiday Travel staff) has personally gone to the best tourism destinations and written in detail about these Key attractions.